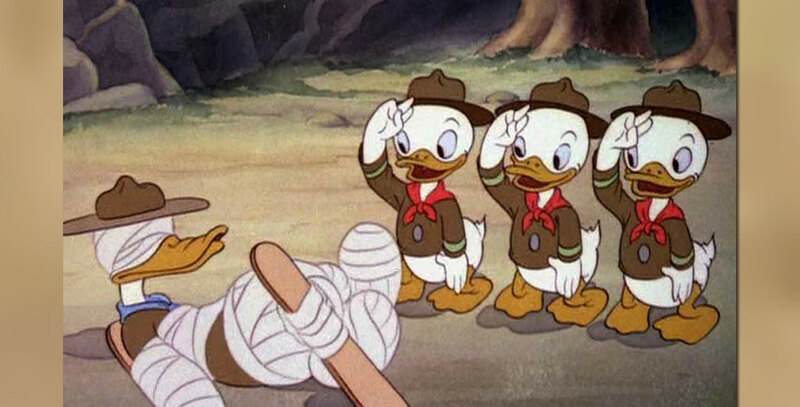 Good Scouts (film) Donald Duck cartoon; released on July 8, 1938. Directed by Jack King. Donald takes his nephews on a scouting expedition filled with many outdoor adventures including a disagreeable bear and the geyser, Old Faithful.